Coelho's Body Repair is Diamond Certified. Very few companies in the industry pass the rigorous rating procedures to receive this certification. The Diamond Certification is bestowed upon auto shops which have superior service reviews from their own customers. At Coelho's Body Repair, you can be assured that you will receive the same quality work which was recognized with the Diamond Certification. Thanks to all our satisfied customers for leaving wonderful reviews on Yelp! We are proud to say "People Love us On Yelp". Need mechanical services on a European or Japanese vehicle? 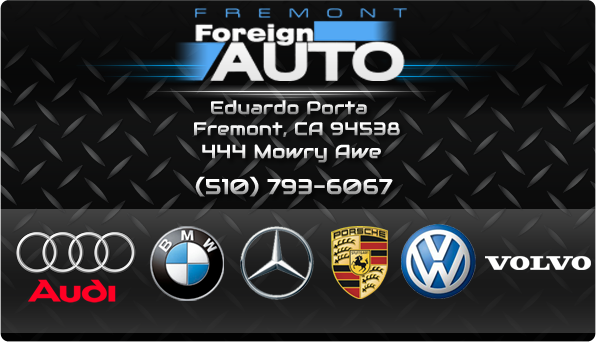 We highly recommend Fremont Foreign Auto for all your service needs on all makes and models of European and Japanese vehicles.